Pig Games My Little Farmies - Play for free now! Any fan of pig games is sure to be delighted by the intricate farming world of My Little Farmies. 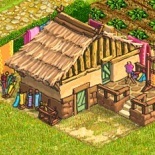 Keep swine and other livestock and establish a thriving estate in a beautiful medieval setting. Gain experience by tending to your pigs and provide them with everything they need to live fulfilled piggy lives – food, water, resting places and more! 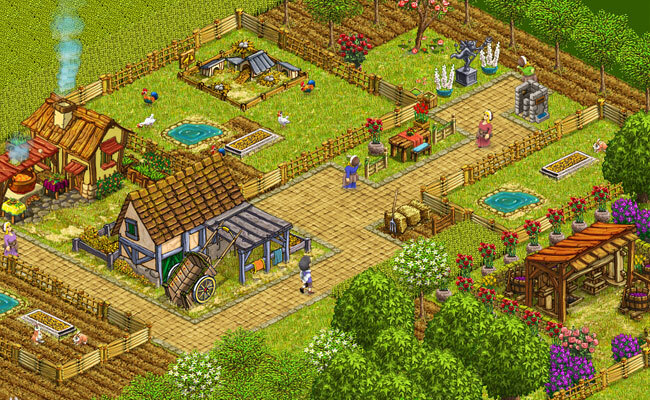 You can even build a barn and breed adorable little piglets. 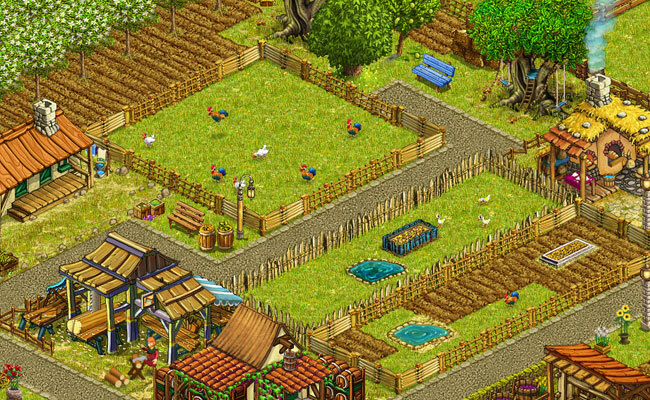 Breeding your animals will also give you a chance to improve your animals, making them even more profitable in your farm! 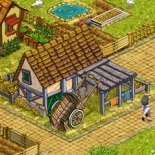 Hundreds of decorations allow you to create your very own unique farm. 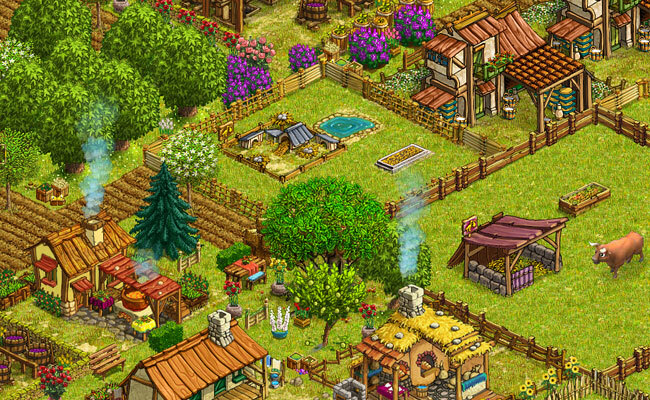 My Little Farmies offers more than conventional pig games – there’s an entire world waiting for you outside the pig pen. Ornament your farm with trees, bushes, and special hallmarks of country life such as little wells, scarecrows, benches and flower arches. Lay paths and special terrain to give your estate a homey countryside atmosphere. 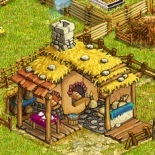 Seasonal events provide you with even more opportunities to customize your farm! In the beginning, you will start off with generic pigs. But through special boosters that you’ll receive on a daily basis and helping your farmie friends, you can collect card pieces to obtain rare species such as the Mangalitsa pig and striped Halloween pigs. You can also collect pieces towards a truffle hunter’s hut, where a truffle hunter will bring back truffles with the help of his loyal pig! Experience the magic of pig games as you trade cards with your friends and guild members to get the cards you want even faster – and help out other players with their goals in My Little Farmies as well! If you love animals and are looking for more pig games, you’re at the right place. 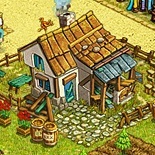 Upjers.com has countless games for you to explore, from zoo games to business tycoons and vacation getaway manager games! There’s something for everyone! And best of all, all of our games are free to play. Come check it out today!